PBT housing With Without stop. Along with Gain Offset trim pots. 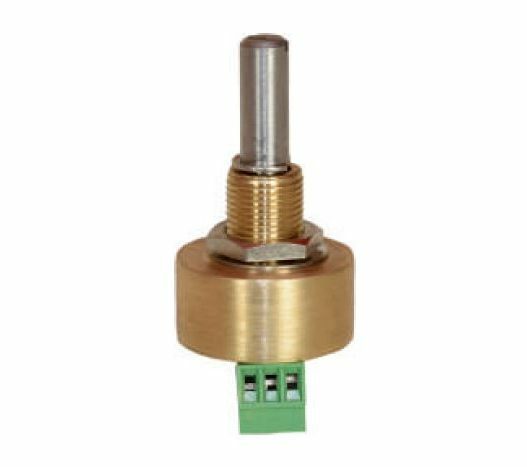 The Rotary Smart Angle Sensor is used to detect the angle or speed of system which correspondence to the rotary motion of the shaft of the sensor. In built Signal conditioner facility makes it a unique product in the market. Since the Product is based on Contactless Magnetic Technology it has very long life. For modern microcontrollers RHS-22 is capable to give output in 0 to 3.3Vdc, 0-10Vdc, 4-20mA, Quadrature, SPI, I2C, PPR and PWM output version is available. Wide range of Mechanical and electrical variant makes it a versatile product in the industry. 24 or 5Vinput and 0 to 3.3Vdc/5Vdc/10Vdc/4 to 20mA/0 to 20mA Analog Output. 24 or 5 or 3.3Vinput and Redundant (Dual) Output 0 to 5Vdc. 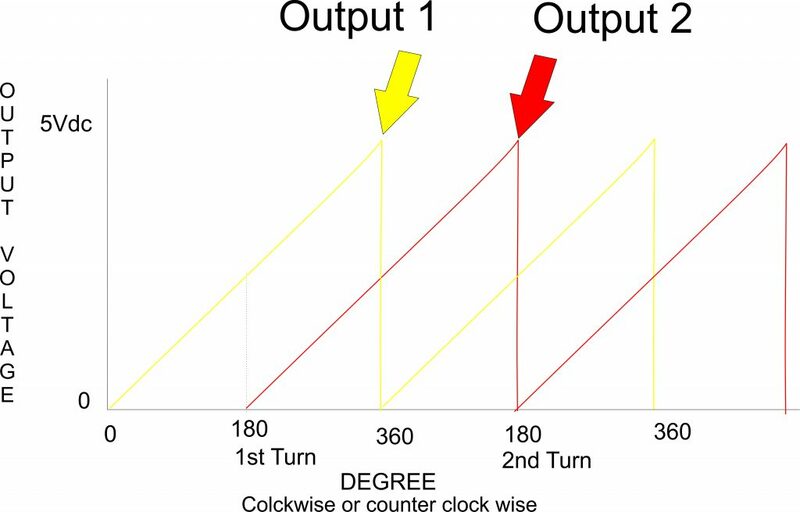 24 or 5 or 3.3Vinput and PWM Output. 24 or 5 or 3.3Vinput and SPI along with PWM Output. 24 or 5 or 3.3Vinput and I2C along with PWM Output. With Inbuilt Micro controller(Programmed or unprogrammed) as per requirement. Sleeve bushing, Servo Mount, Flange Mount and Ball Bearing versions. Some variants have a facility to be programmed at user end. All variants with Stopper/ without stopper available. Connectors or Fly wire available. For best performance of RHSS22 below points needs to be taken into consideration. 1) The hole in the panel should not be more than 9.5mm. 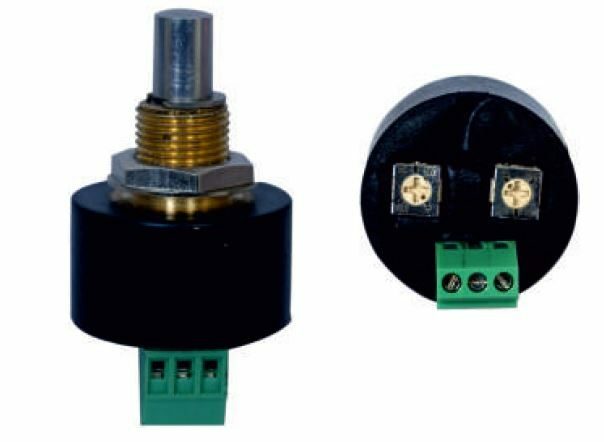 2) RHSS22 should be mounted with Star washer given along with the product and perpendicularity between the panel and axis of Sensor should be maintained. 3) For RHSS22_servo mount model mounting clamps EMC 22 are available. 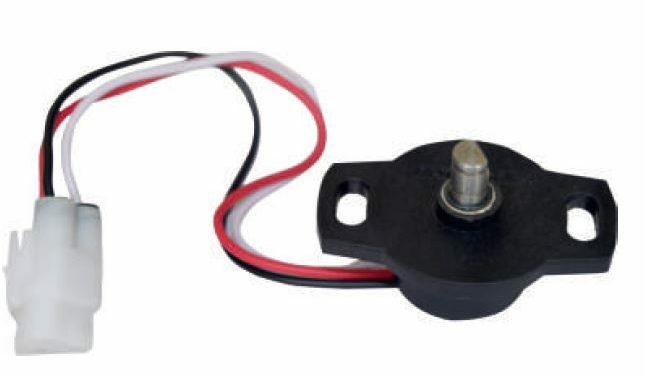 If two RHSS-22 units are to be installed closer than 4 inch (measured between the center of both shafts), a magnetic shield, such as a small steel plate should be installed in between to prevent one encoder from causing small changes in reported position through magneti c field cross -talk . For SPI, I2C and incremental Output only Fly wire version is available. Tight Motion of shaft is possible. The RHSS22-635I2C is a Absolute encoder which acts as a slave and communicate with master micro controller as per the standard Protocol of I2C. It is also known as Two Wire Communication. 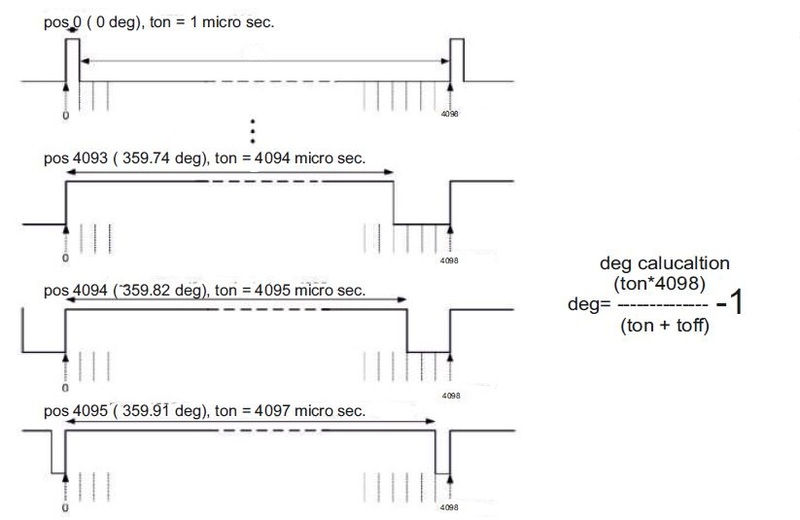 As per standard Protocol each slave (RHSS22-635I2C) has a Slave address of 7 bit which is being made of two Address Pin 1 and 2 while the remaining 4 bits are always 0 and MSB being 1. Address pin 1 and 2 are Least significant bit of Address. Hence we can use maximum of 4 such sensors in a Daisy chain mode of communication with slave address as 1000001 / 1000000 / 1000011 / 1000010. RHSS22-635I2C has a provision of Dual Output first I2C communication and PWM mode of communication 14 Bit and 12 Bit of Resolution respectively. RHSS22-635I2C communicates the angle information in two cycles. By sending the register address 254 and 255. To have the complete angle information we need to eliminate two most significant bit (6 and 7) of the data byte we receive after sending register address 255. Maximum clock Frequency 10k Hz. 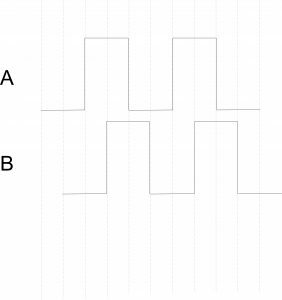 Digital pin Input / output level including address pins. A & B Pulse Lag each other by 90deg.(TTL). 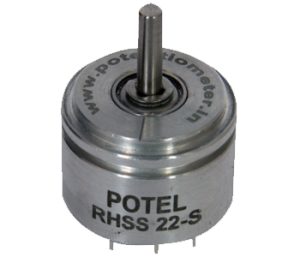 The RHSS22-635SPI is a Absolute encoder which acts as a slave and communicate with master micro controller as per the standard Protocol of SPI. RHSS22-635SPI communicate in 16 Bit of Transmission. As per standard protocol of SPI RHSS22-635SPI communicate with master protocol when the MOSI pin is active high or 3FFF hex data is sent on the bus and the CS pin need to toggle from low to high for only one clock pulse. After each cycle of communication it is compulsory to toggle CS pin from high to low. RHSS22-635SPI has a provision of Dual Output first SPI communication and PWM mode of communication 14 Bit and 12 Bit of Resolution respectively. (pavankinariwala@gmail.com) for more information on the same. RHSS22-635SPI will communicate the angle information in below pattern. Maximum clock Frequency 50k Hz.